1. Register the Provider Domain: This part should be completed by an Administrator. Registering a Chalk & Wire's Provider Domain indicates to Blackboard that it is allowed to communicate with Chalk & Wire. The domain is secured with a "key" and a "secret", which will be provided to you by Chalk & Wire. 2. Create Placements: This part should be completed by an Administrator. A placement is essentially a template that will be used to create the assignment link to Chalk & Wire. When creating an assignment using a placement, the user will be prompted to make further selections based on the placement selected. 3. Add Assignment Link to Course: This part can be completed by an Administrator or an Assessor. Once the first two parts have been completed, you will be ready to add the assignment link to your course in Blackboard. Once the assignment has been added, Blackboard users will be able to use it to link to Chalk & Wire to complete their work. 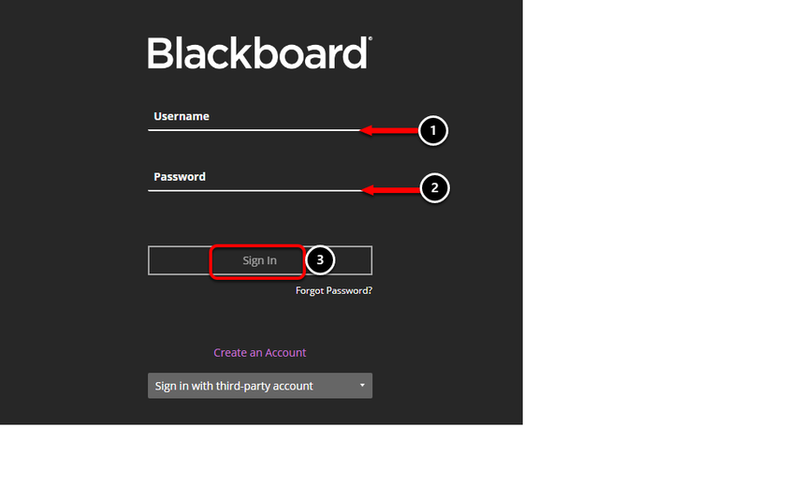 Before you can begin, you must log in to your Blackboard administrator account.